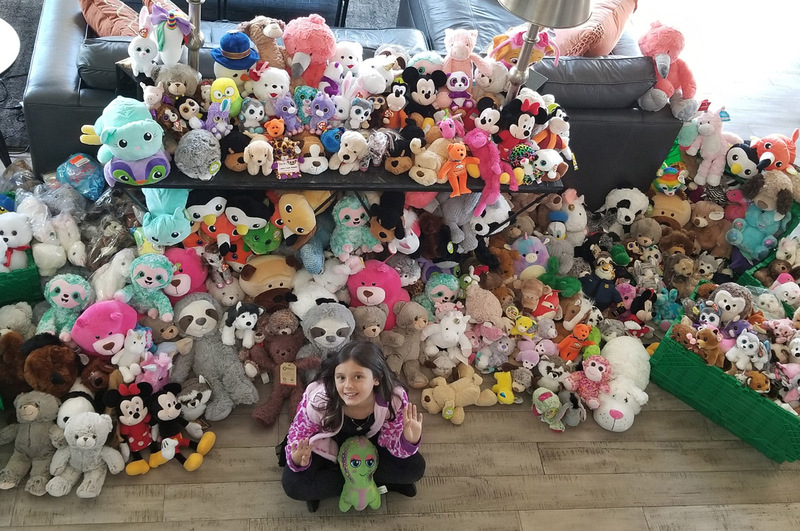 Marlie Walker collected 616 stuffed animals to donate to UCHealth Poudre Valley Hospital Emergency Room. 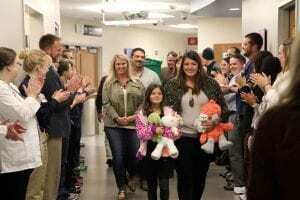 Emmy, which is what Marlie, right, named the octopus she’s holding, was given to her by UCHealth registered nurse Reatha Blumenthal, left, as something to hold on to when she was at PVH ER six months ago. Marlie Walker received a special surprise on her doorstep on the first day of her drive, which was also her dad’s birthday. Marlie talks about why she wanted to collect stuffed animals for PVH ER, while her mother sits by her side. Marlie Walker, looking like a star.